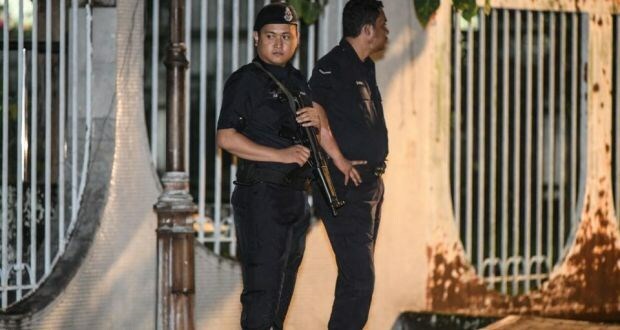 Malaysian police on May 17 searched former Prime Minister Najib Razak's home and other places linked to him in connection with a probe into the corruption scandal at the state fund 1Malaysia Development Berhad (1MDB), said a senior police officer. Amar Singh, Director of the Commercial Crimes Investigation Department, said that searches were continuing at places, including the former PM's office and a residence he had used. The police are in the midst of collecting information, and they will have more details once they have completed the search, he said, confirming that the searches were related to investigations into the 1MDB scandal that had dogged Najib since 2015. Speaking at a news conference on the same day, Malaysia’s new PM Mahathir Mohamad said he supposed the police have enough reasons to raid the places linked to Najib. The multi-billion-dollar scandal over the fund founded by Najib is being investigated by police in at least six countries, including the US. Najib has denied any wrongdoing. Najib started the fund in 2009 to stimulate Malaysia’s economic growth through global partnerships and foreign direct investment. However, the fund became the centre of a money laundering scandal, allegedly causing losses of up to 3.7 billion USD and leading to probes into the financial markets in several countries such as the US, Switzerland, Singapore, Malaysia and China. The Federal Court of Malaysia on April 9 affirmed that there was no evidence to accuse 1MDB leaders and Najib was not involved in the scandal. The ruling was expected to give a boost to the ruling Barisan Nasional (BN) coalition of then PM Najib in the recent general election. But, the opposition alliance Pakatan Harapan (PH) and the Malaysian Islamic Party of Mahathir won 113 seats of parliament’s 222 seats while the BN secured only 79 seats.